Self-ballasted mercury lamps sold by General Electric have traditionally been sourced in from Iwasaki Electric Co. in Japan, since GE has not operated its own production for these kinds of lamps since the 1960's. 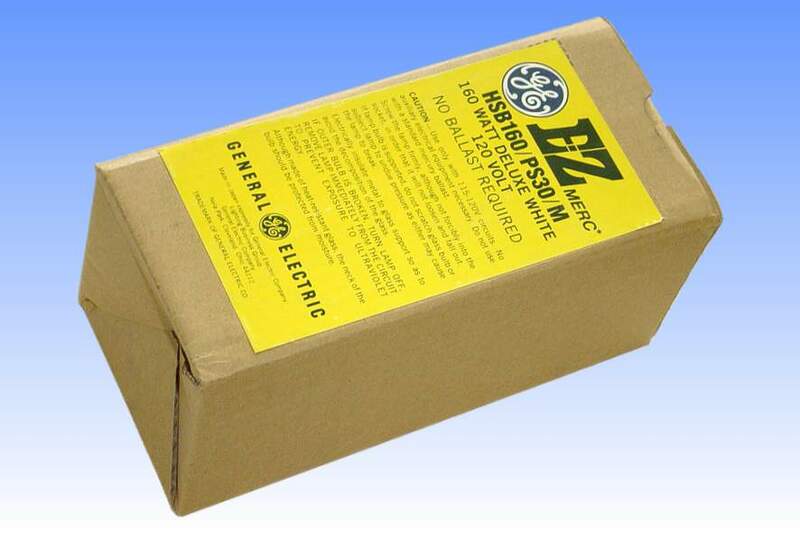 The only popular type to have been made by GE was the 275W RS Sunlamp intended for ultraviolet tanning applications. In USA the mains electricity is supplied at 120 Volts, and after the volt drop across the ballast filament this is not sufficiently high to allow the arc tube to ignite, even with the standard third auxiliary electrode. The auxiliary electrodes in this lamp take the form of small incandescent filaments at each end of the arc tube rather than the conventional straight electrode employed in the rest of the world. After turning on the lamp, these filaments light up in series with the main ballast filament, causing thermionic emission to take place within the arc tube. After a few seconds a bi-metal switch heats up and breaks the circuit through the preheating electrodes. The discharge then strikes across the arc tube, ballasted of course by the main filament. 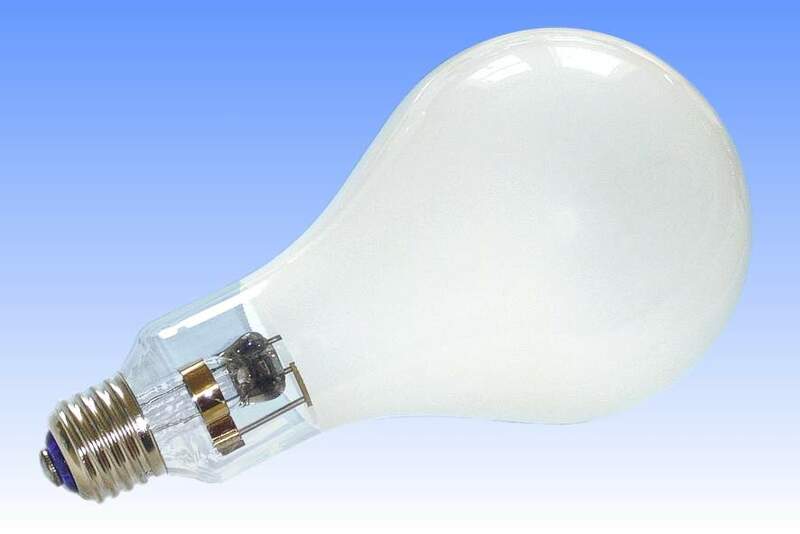 Low wattage mercury-tungsten lamps such as this have today been almost entirely superseded by compact fluorescent lamps with integrated control gear. Primarily this is because of the rather poor luminous efficacy of the mercury blended lamp - indeed the average efficacy through life is a mere 10 lumens per watt, worse than a conventional filament lamp! However the 12,000 hour life and daylight-like colour of the light is favourable in certain applications. These days, a 30W compact fluorescent lamp is capable of delivering the same performance. Manufacturer: Iwasaki Electric Co. Ltd. Warm Up / Re-strike Time 5 minutes 15 minutes max.